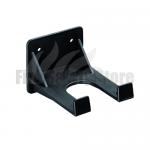 Available from Fire Safety Store are a range of first aid brackets ideal for mounting your first aid kit. 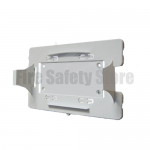 The 10, 20 and 50 person wall mounting brackets are ideal for mounting the evolution first aid kits in the different sizes available onto a wall or post. Also available is the vehicle first aid mounting kit for mounting the evolution vehicle first aid kit into a lorry or van.